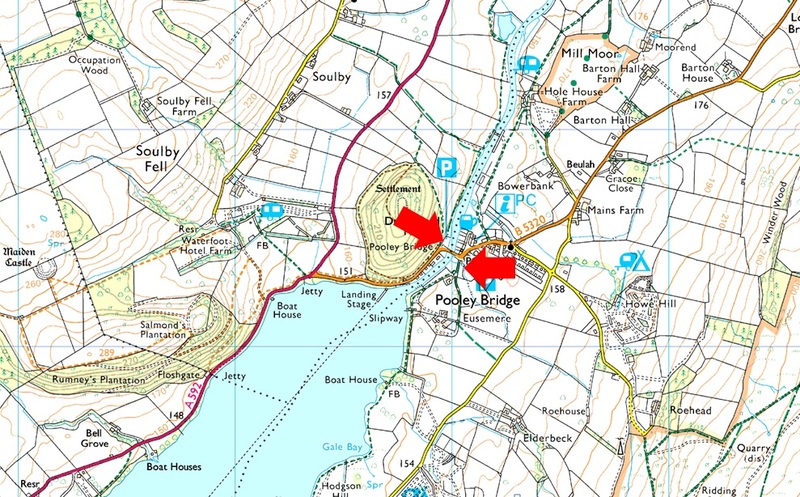 Notes: There are two places to park on either side of Pooley Bridge, the first car park is the Lake District National Park car park found on the left prior to crossing the bridge itself where you will find ample parking over looking the River Eamont. This is a Pay and Display car park. There is a second car park found on the right after crossing the bridge which is again Pay and Display.